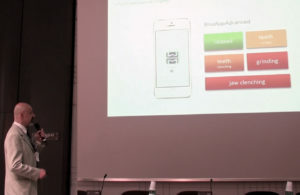 GSID International Conference - BruxApp - applicazione bruxismo. 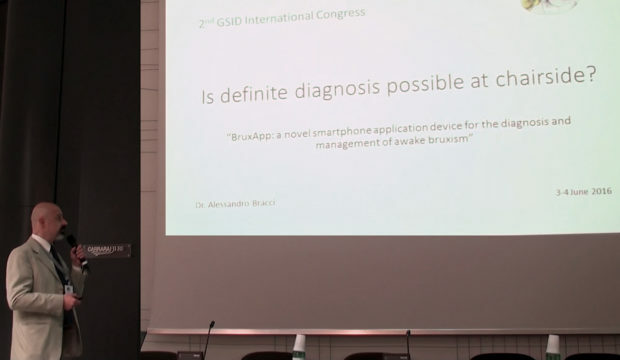 On the 2nd GSID International Conference entitled “let’s chew on bruxism”, entirely devoted to Bruxism, Dr. Alessandro Bracci held a lecture on “BruxApp: a novel smartphone device for the diagnosis and management of awake bruxism”. 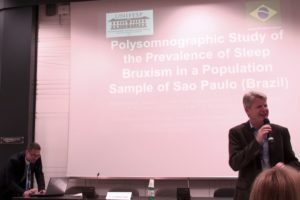 The lecture was attended by the world’s leading experts of bruxism, including Prof. Mr Frank Lobbezoo (ACTA-Amsterdam) considered the number one in the world as far as the scientific research on Bruxism is concerned, as well as Prof. Mr Daniele Manfredini.